May buy any quantity. May redeem any quantity for groups. Must use entire value in 1 visit. Valid anytime Monday - Thursday or after noon on Friday - Sunday. Tee time reservations required; subject to availability. Tax, if applicable, and gratuity are not included. Not valid on holidays or holiday weekends (call merchant for specific date restrictions). Valid through: Oct 31, 2016. See the terms that apply to all deals. 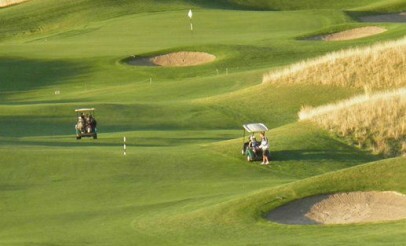 Carved from the native prairie, the course's 220 acres present golfers a true links-style experience. 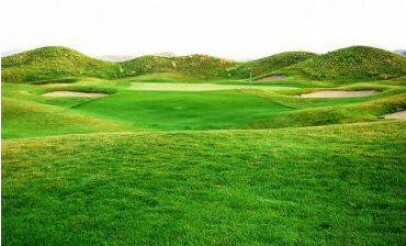 Designed by noted architect Ron Garl, the golf course was created to play a challenging 7,050 yards from the back tees, yet offering multiple tee boxes to cater to players of all skill levels. 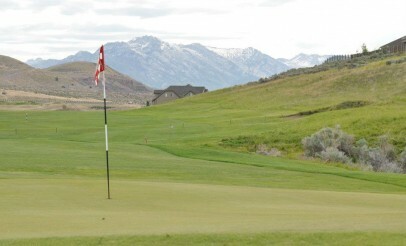 The Ranches Golf Club is a spectacular 18-hole championship facility nestled in the hillside valley between Lehi and Eagle Mountain. 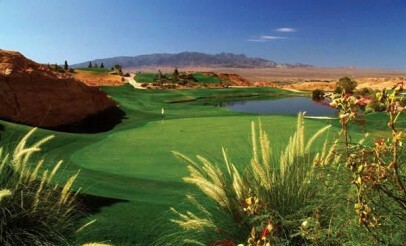 Featuring a Western theme, The Ranches Golf Club offers golfers a relaxing retreat with acres of elbowroom to enjoy.